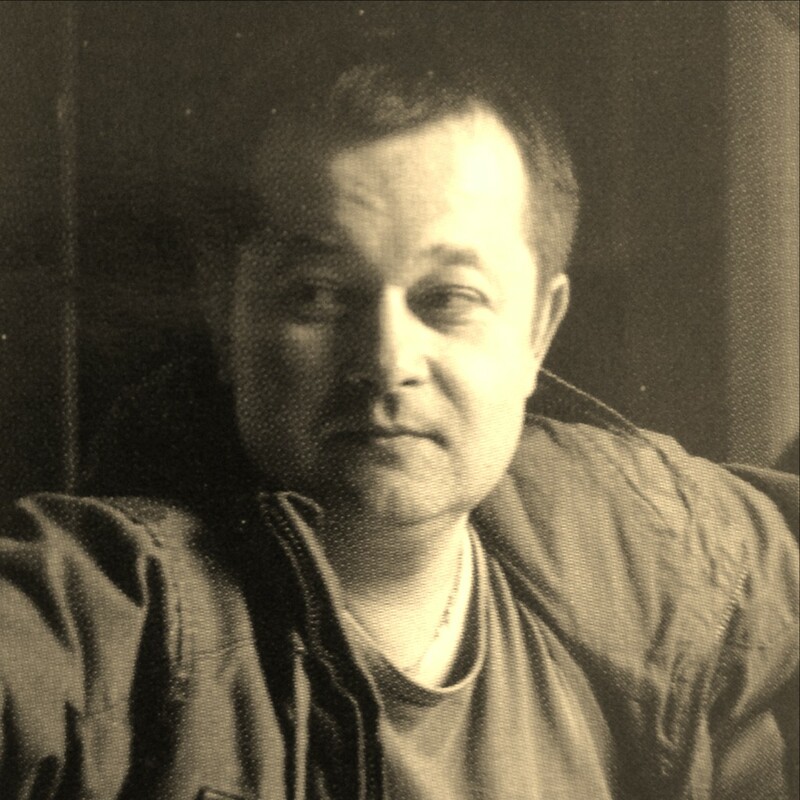 In 1995, I was a student at the Krakow Academy of Fine Arts in Krakow at the Faculty of Industrial Design. After classes, I worked oddly for the evening shift in my uncle's footwear factory. Wanting to combine my studies with additional paid work I suggested to the chairman of the Marketing Department of Product Design - on which I studied at that time, prof. Jerzy Ginalski, let me design children's shoes for my uncle's company as a year-end job. That's how it happened ... Towards the end of the academic year, I applied with my project to the Central Laboratory of the Footwear Industry in Krakow, asking for its objective assessment for joining my work documentation ... The effect was unexpected ... the director of this institution not only, that he rated the project sensationally, but also offered me a job as a shoe designer and intern at their Celapo company (no longer a great Polish company producing leather footwear for women), despite not yet completed studies. In 1997 I was sent by my workplace (CLPO) to the Ars Sutoria Design and Stylization School in Italy where my teacher was Adriano Lunati (the late creator of the Italian shoe design and styling school), where after passing the exam I received an international stylist title- footwear modeler. 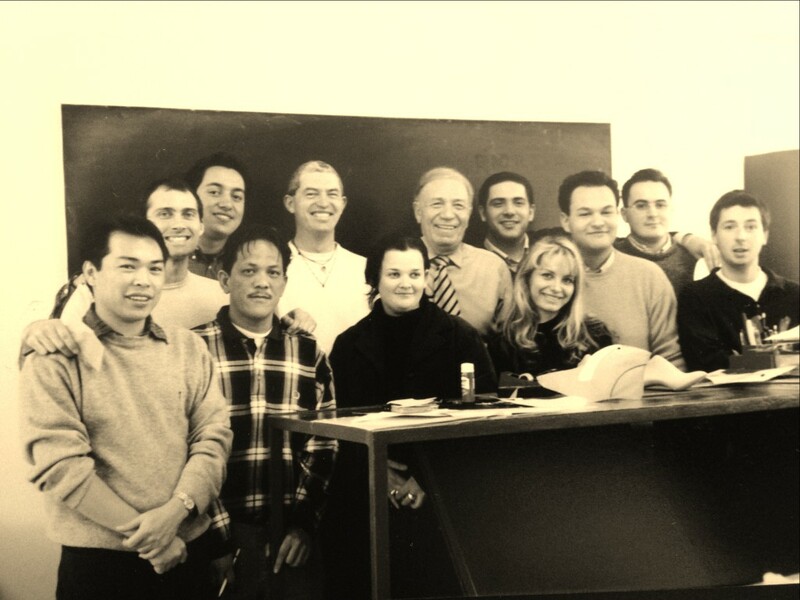 Over five years of work in the Central Laboratory of Footwear Industry (until 2002) allowed me to finish my studies at the Academy of Fine Arts and Milan, giving me the knowledge and experience necessary in my current shoe factory. 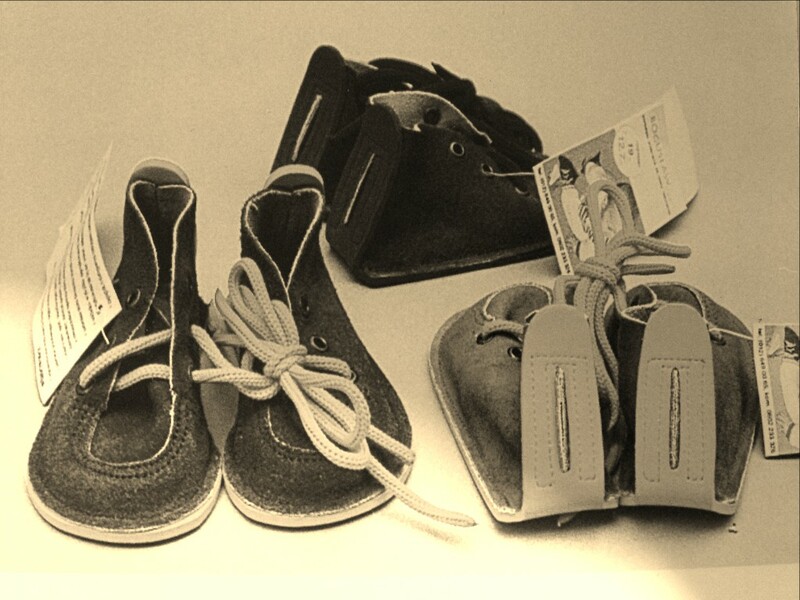 It was then that in 2001 I opened my own business, which I continuously run to this day, producing footwear for children under the brand Gucio and selling them to almost all continents. 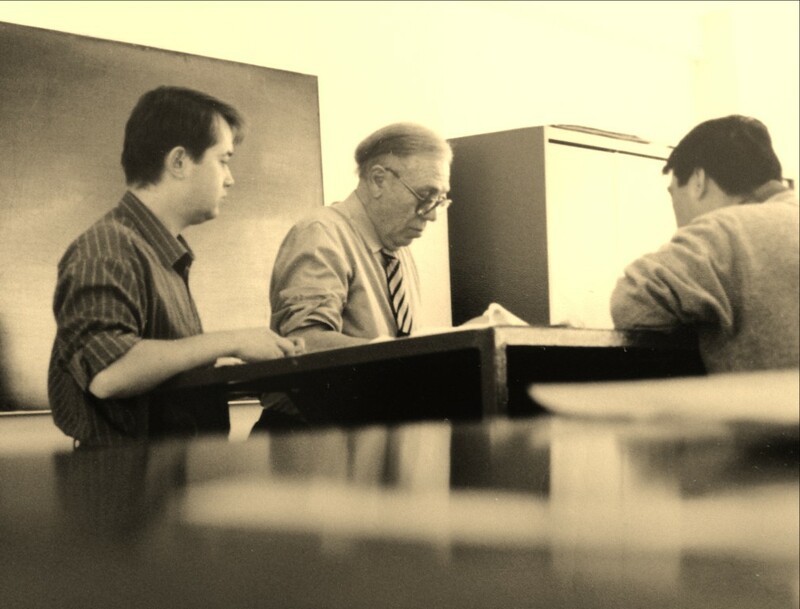 Adriano Lunati and me from the left. Prototype of shoes was created from life's necessity in 1995, from one piece sheep skin. I made them the first shoes for my little daughter, Marysia. I did not think that the cut and sewn spontaneously, the couple started a new stage in my life. Pragucio was sewn up with a heel on the heel (similar to now) and Velcro arch photo below. The first version of the produced Gucio shoes. That's what Gucio shoes looked like until 1997. The old pre-war machines on which we have performed our work so far required constant technical supervision and unique spare parts, which are almost impossible to obtain ... unfortunately. Reliable and developed machines have been forced to replace new ones, but we chose the same German proven companies. 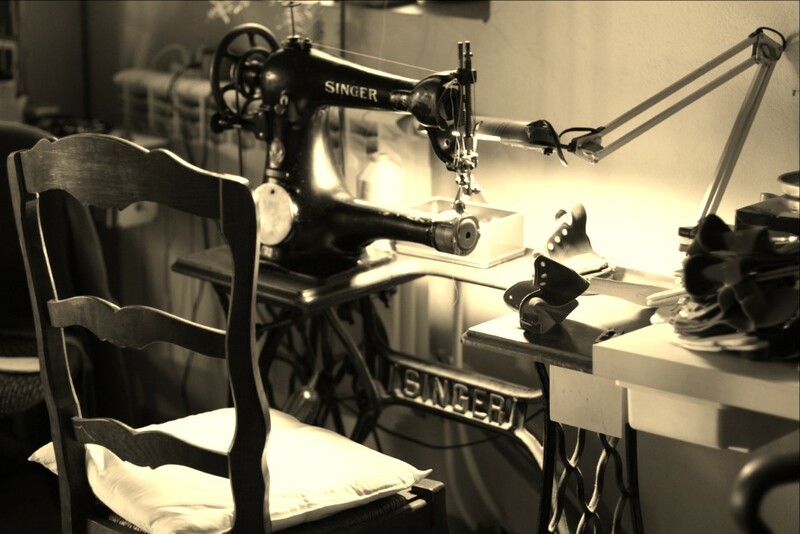 despite the modernization of the machine park, shoes with the Ergono System are still sewn in the traditional way, ie on the old pre-war left-handed Pfaff 24, Singer and Durkopp machines with a foot drive. photo: old Singer machine with a foot drive from the 30s of the last century.